In the featured attraction of Main Event, United States Champion Sheamus teams with WWE Tag Team Champions The Usos to combat The Wyatt Family in a 6-Man Tag Match. Also, Rusev vs. Santino Marella and Paige vs. Naomi. Plus, Seth Rollins makes a major announcement. In a rematch from SmackDown, Seth Rollins goes one-on-one with Dolph Ziggler. Plus, Rusev vs. Kofi Kingston and Jimmy Uso vs. Luke Harper. In a rematch from Payback, Bad News Barrett defends the Intercontinental Title against Rob Van Dam. Plus, Luke Harper & Erick Rowan face the team of Goldust & Kofi Kingston. In the featured attraction of Main Event, The Wyatt Family's Luke Harper & Erick Rowan face WWE Tag Team Champions The Usos. Plus, R-Truth vs. Damien Sandow, Curtis Axel vs. Cody Rhodes, and Natalya vs. Brie Bella. Cesaro and Mark Henry face off in an Arm Wrestling Match. Plus, Naomi vs. Aksana and Damien Sandow vs. R-Truth. John Cena makes a special appearance to address Bray Wyatt. Plus, Goldust vs. Curtis Axel, Dolph Ziggler vs. Jack Swagger, and 6-Diva Tag Match. The featured attraction of Main Event would see Bray Wyatt face off with Sheamus. Plus, Goldust vs. Alberto Del Rio, Paige vs. Alicia Fox, and Bad News Barrett vs. Kofi Kingston. Hornswoggle faces El Torito, Ryback vs. Jimmy Uso, Sheamus goes one-on-one with Titus O'Neil, and Big E faces Alberto Del Rio. Ten Divas face off in a Battle Royal to determine the new #1 Contender for the Divas Title. Plus, Big Show vs. Jack Swagger, Bad News Barrett vs. Sin Cara, & Los Matadores in action. The Shield collides with The Wyatt Family in 6-Man Tag action. Plus, Alexander Rusev makes his Main Event debut and Jack Swagger faces Dolph Ziggler. "The Celtic Warrior" Sheamus goes one-on-one with The Miz and Tamina Snuka squares off with Nikki Bella. A Triple Threat Match kicks off the show to replace Christian in the Intercontinental Title match in the main event. Plus, 10 Divas square off in a 10-Diva Tag Match. The Undertaker makes his Main Event debut with a message for Brock Lesnar. Plus, Goldust & Cody Rhodes face The Real Americans, Big Show vs. Titus O'Neil, and The Funkadactyls vs. Layla & Alicia Fox. Dean Ambrose defends the United States Title against Mark Henry. Plus, AJ Lee defends the Divas Title against Natalya and Rybaxel faces Los Matadores. 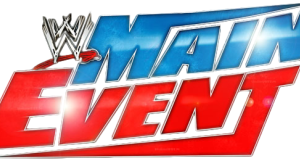 On a special live edition of Main Event, Daniel Bryan faces Director of Operations Kane and The Usos defend the WWE Tag Team Titles against Los Matadores. Plus, Nikki Bella faces Alicia Fox. In 10-Man Tag action, Goldust & Cody Rhodes would team with Los Matadores & El Torito to face Ryback, Curtis Axel, & 3MB. Plus, Sin Cara vs. Damien Sandow, Darren Young vs. Titus O'Neil, and Aksana & Alicia Fox vs. Natalya & Eva Marie. In 6-Man Tag action, The Shield faces Sin Cara & Los Matadores. Plus, Cameron vs. Aksana and Kofi Kingston vs. Curtis Axel. The Wyatt Family faces Sin Cara & Los Matadores in 6-Man Tag action. Plus, Natalya vs. Aksana and Big E faces two members of 3MB. Big E. Langston faces Curtis Axel in a non-title match, The Miz faces Fandango, and Alberto Del Rio goes one-on-one with Zack Ryder.